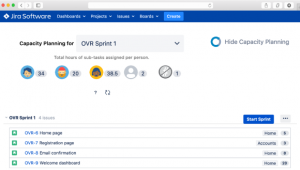 Prevent under or over-committing work during your Sprints by automatically keeping track of your Scrum team members’ capacity. 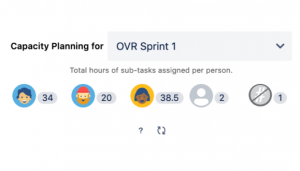 See the number of hours each team member is committing to as you’re planning your Sprint. No pen and paper or spreadsheet required. Don’t leave your Sprint Planning session with a half baked plan. 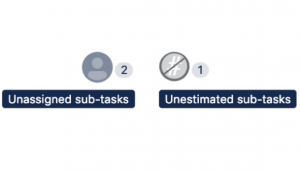 We’ll make sure you know if there are any sub-tasks that are unassigned or don’t have any estimates. Don’t worry about having to juggle multiple dashboards, spreadsheets or browser tabs. Everything you need to manage your team’s capacity during Sprint Planning is right next to where you actually plan your Sprint.